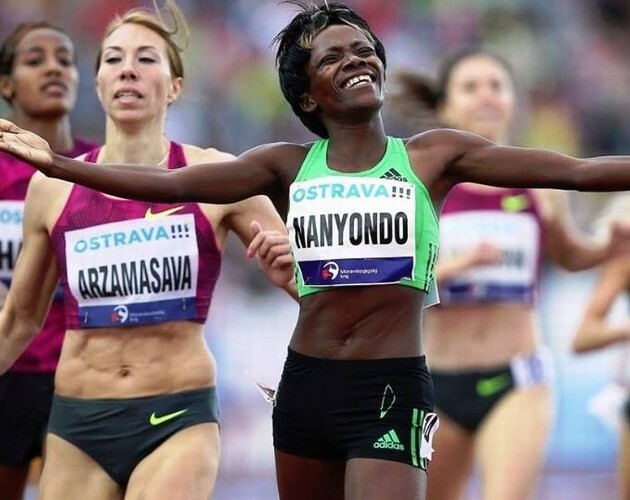 Winnie Nanyondo of Uganda scored a surprise victory in the women’s 800m to win her first international competition, in a personal best time of 1:59.27, at the 53rd Golden Spike athletics meeting in Ostrava on June 17. The Ostrava Golden Spike was the ninth leg of the IAAF World Challenge series in 2014. 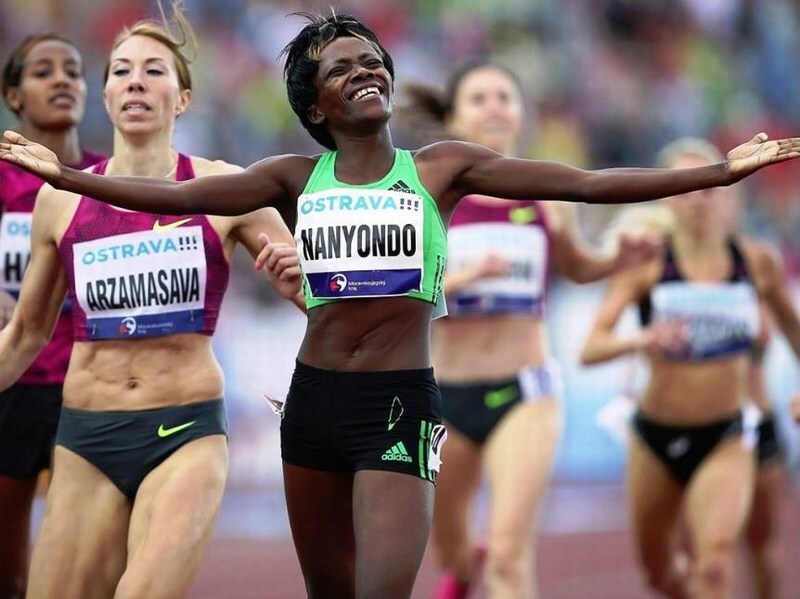 Nanyondo powered down the homestretch and away from a crowded 14-woman field to lower her previous lifetime best of 1:59.39 set in Hengelo nine days ago. It was the first international win over the distance for the 20-year-old, one she celebrated with a little dance before she knelt to the track and raised her arms to the sky. Her time of 1:59.27 is edging ever closer to the Ugandan National record of 1:59.08 set by Annet Negesa at the Fanny Blankers-Koen Games in Hengelo, Netherlands in May 2012. “It was hard race for me and I am very tired,” said Winnie Nanyondo after the race. “I am happy for our national record, because I am very young. It was just my second competition in Europe and I have to say, that I like it here. Belarusian Marina Arzamasova came second in a time of 1:59.65 with American Molly Beckwith (1:59.77), the Czech Lenka Masna (1:59.93) and the Dutch Sifan Hassan (1:59.95) third, fourth and fifth placed respectively. Well done Nanyondo. Keep the crane flying with pride.